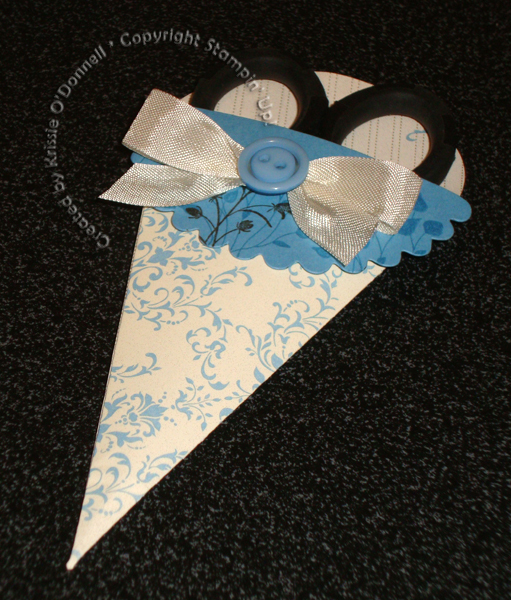 I’d like to make a fabric version of this cute snips holder, but the paper version is equally adorable! For the paper version, just cut your dsp with the Petal Cone die once and put your adhesive on the flap, fold together and fold down one of the petals. Then cut a half scallop from the die with cardstock to display over the flap and decorate as you like.